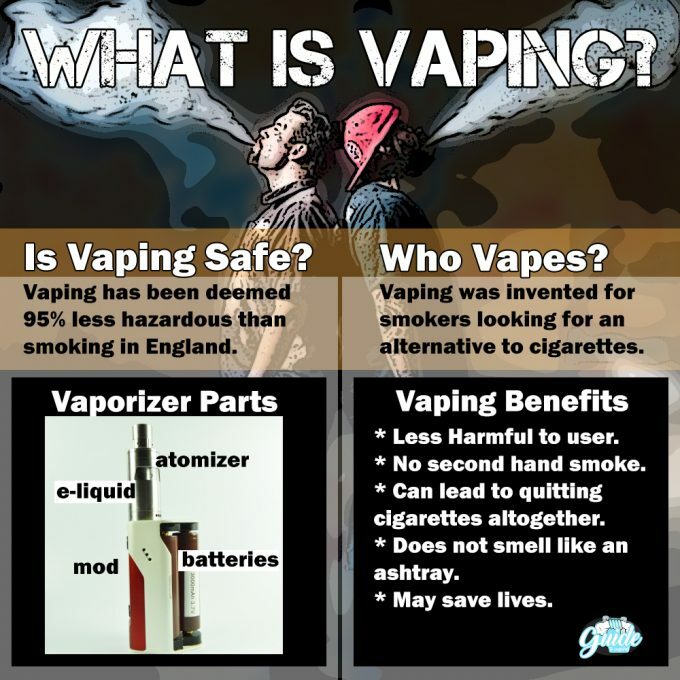 What is vaping, where did it come from, and why are these devices being picked up by millions upon millions of smokers around the world? A few years ago, most people hadn’t even heard of vaping, and now these devices seem to be everywhere. Here is our concise guide to answer these questions and a few more that pop up daily. Firstly, vaping is not smoking! 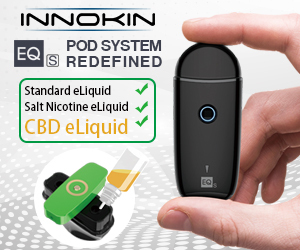 Vaping is defined as the use of a personal vaporizer (Electronic Nicotine Delivery Systems, Electronic Cigarette, E-Cig, Vape Mod or any of the other 50 names they are being called by) to inhale e-liquid vapor. Vaping has been adopted by many as a much safer alternative to smoking cigarettes, in numerous cases helping vapers quit smoking all together. 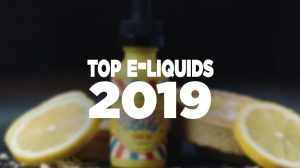 Warming e-liquid doesn’t create most of the harmful chemicals you get from burning tobacco and paper, and has been declared 95-99% less harmful by the British Government. While cigarettes were stigmatized for many reasons, vaping moves people (vapers) away from many of the social dogma’s that have been complained about for years: people no longer smell like dirty ashtrays, there is little chance of vapers falling asleep and setting themselves on fire, and there is virtually no risk of second-hand exposure to dangerous chemicals from vaping. Where Did Vaping Come From? Some people believe that vaping was invented in someone’s garage 5 years ago, but the concept of vaping has been around since the 1960’s. The modern concept, however, was the brain child of Hon Lik, a Chinese pharmacist turned inventor who watched his father die from lung cancer and vowed not to suffer the same fate. While his design worked on an ultrasonic basis, it’s credited with being the basis on which modern vaping devices are made. 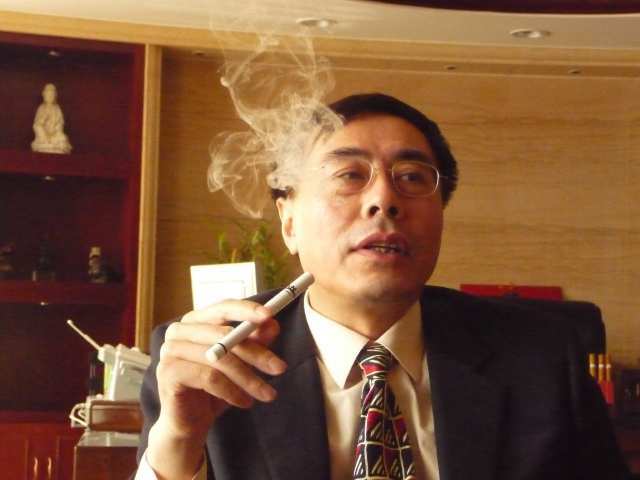 What started as an idea to prevent his own premature death from lung cancer has transformed into a worldwide phenomenon that has been hailed by some as the greatest discovery in public health in generations. What’s In A Vaping Device? Regardless of how they look, most vaporizers are made up of the same parts. Some are much more powerful than others and have different settings to customize the vapers experienced specifically to their taste, but there are certain things that they all need to work. Mod: Whether it is a tube or a box, this is the body of the vaping device. Battery: Some devices use built-in batteries while others are replaceable, they should only use high amperage high drain battery systems. The most common batteries you will find in vaping devices are Lithium Ion. Atomizer: The atomizer is the part of a vaporizer that actually changes the e-liquid to vapor by heating it. 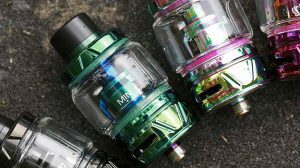 There are several different housings you will find them in, such as tanks, rebuildable atomizers or cartomizers from the gas station. Most modern vaping systems use rebuildable atomizers as they work better than the “cig-a-likes” sold in convenience stores. E-Liquid: Made from Propylene Glycol, Vegetable Glycerin, flavoring and in some cases nicotine, this is the element that is actually inhaled (vaped) by vapers. 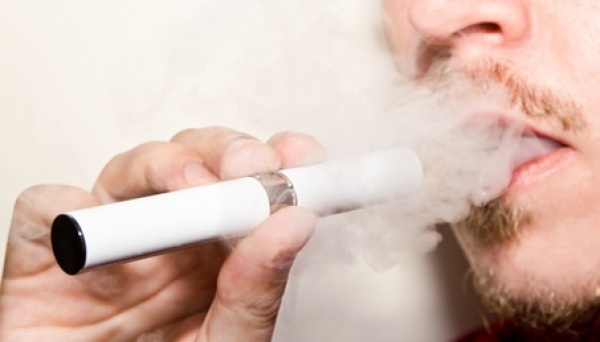 Vaping was invented to help adult smokers break away from the habit of smoking, many of whom had tried many times and failed with traditional methods offered to them by health professionals. Laws are being put in place around the world to keep vaporizers out of the hands of children, which is something that the manufacturers of vaporizers and e-liquids all agree with. While there are organizations peddling the idea that teenagers and non-smokers are picking up vaping in their millions and re-normalizing smoking the actual date doesn’t support their theory. While we won’t say vaping is 100% safe, it is considerably safer than smoking cigarettes. 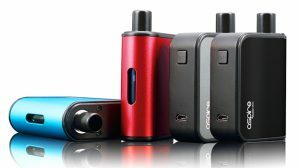 Millions of people around the world have used vaporizers to completely quit smoking while many millions more are using these devices to cut down on their cigarette intake. According to the Royal College Of Physicians, vaping works so well they are now suggesting that doctors point their patients in the direction of this technology, especially if they have had problems trying to quit smoking in the past. Are All Vapers Using Nicotine? Unlike cigarettes, the nicotine in e-liquid is an additive, not a main ingredient. As vaping devices contain no tobacco, the amount of nicotine is determined by the level added to the liquid they buy. Most vapers will start with 24mg/ml (which is considered a high dose) and gradually work their way down until they are nicotine free. 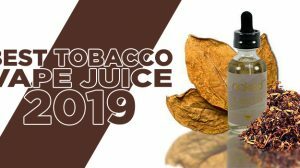 Many vapers you see walking around may be using e-liquid with no nicotine at all, as they enjoy the sensation of the vapor in their lungs and the hand to mouth habit that was formed through years of smoking, but no longer require nicotine. 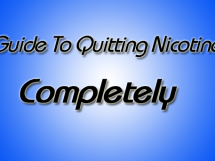 I hope we have been able to clear up some of your questions regarding vaping, please feel free to use the rest of our extensive library if any other questions come to mind. Use the search function at the top of the page — if you have a vaping question, we probably have an answer. Its just awesome. The best way to quit smokking! !